Birthdays are always a special occasion and photobooks are a great way to help someone celebrate, especially your mother. Here are a couple of ideas that you can use to create the perfect birthday gift. When you are putting together a birthday photobook for your mother don’t forget to include pictures of moments that you shared together. These memories are usually very heart-warming for parents and mean a lot to them. If you see your mother regularly throughout the year, try to take a few pics whenever possible so that you can include them in a birthday photobook somewhere down the road. Nostalgia can be a good thing, try to see if you can dig up some old long-lost photos from your mother’s early childhood. Sometimes we forget that our parents were people with lives and memories well before we ever came into the world. 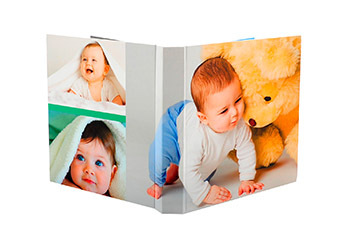 Make sure you don’t forget to include those moments in your photobook. Sometimes it can be good to remember people who are no longer with us, especially if they gave us fond memories to cherish. Don’t be afraid to include photos of loved ones who have passed away and make them part of the celebration. A great idea would be to have a photobook that you are adding to every year with shots from the previous year’s birthday celebration. Make sure every year that you are taking lots of photographs to add to next year’s photobook so that you can all look back on it year after year. It doesn’t have to elaborate or expensive! Don’t feel you have to be extremely elaborate or spend a lot of money to create a great photobook. You can keep it simple and with today’s smartphones you don’t need an expensive camera to capture your memories. Printing is also relatively affordable today, helping you to put together a wonderful and memorable photobook, sure to put a smile on your mother’s face.